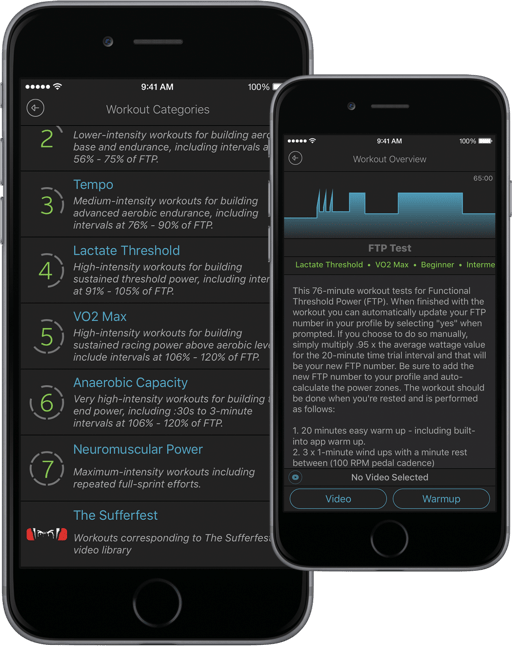 Kinetic announced the release of its next generation Kinetic Fit training app, which now features professionally designed training plans, hundreds of customized workouts, video streaming and accurate real-time data. “Kinetic Fit provides the most accurate training data that you can use, track and share, as well as personalized power-training plans designed by professional coaches that deliver more efficient, effective workouts,” the company said. 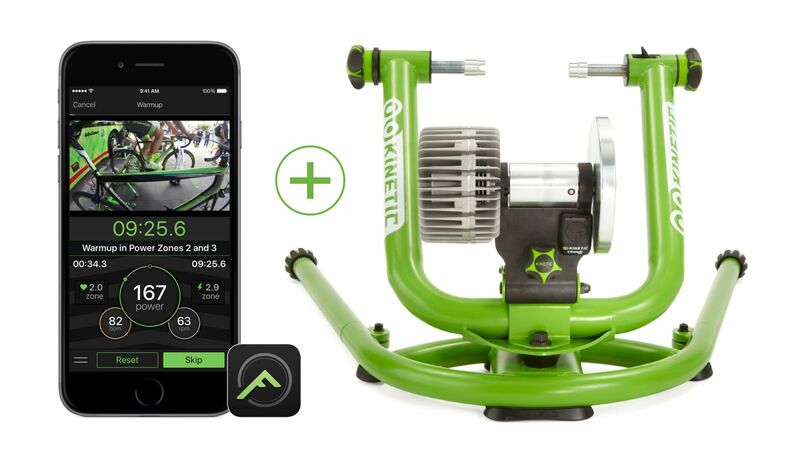 According to Kinetic, the updated app now connects with a range of their Smart power trainers, as well as being fully compatible with many other trainers and power meters that use Bluetooth Smart technology. 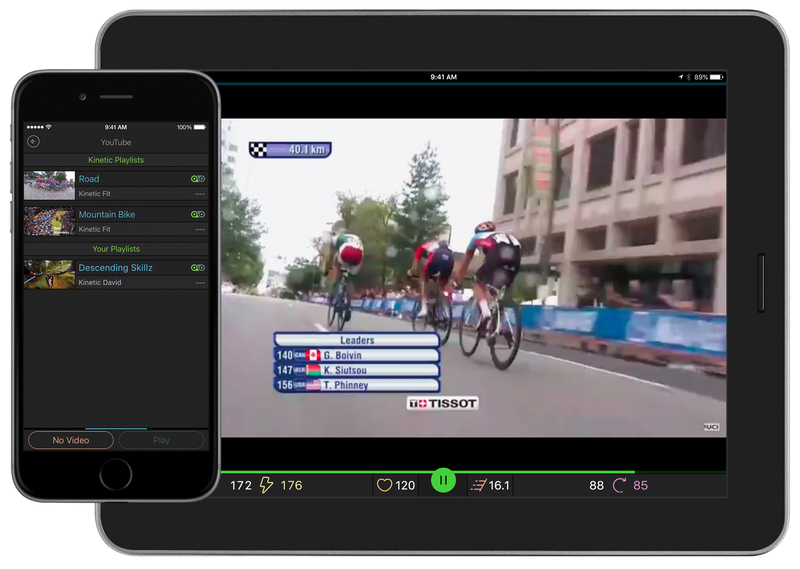 Kinetic Fit’s new video integration allows subscribers to view video on their device while training, as well as mirror it to a second screen wirelessly via Apple TV, Google Chromecast or an HDMI cable. A new YouTube streaming function enables app subscribers to watch preselected playlists of individual videos during a workout. Additionally, app subscribers can also stream movies stored on their device or view movies in personal Dropbox accounts to enhance their training. “Our number one goal with the Kinetic Fit app is to help you improve as a cyclist and power training is the most effective way to accomplish this,” said David Simpson, Kinetic’s marketing manager. For an additional $10/month, riders can stream the entire Sufferfest video training series with either Core or Smart. The purchase of a new Kinetic Smart Control trainer also includes a free six-month Smart subscription to Kinetic Fit. In addition, Kinetic is also offering a free one-month trial of the Smart subscription on all new Kinetic Smart trainer or inRide sensor accessory purchases. Learn more at kinetic.fit and kurtkinetic.com.